The SRI Positive Choke is a monogrammable API 6A choke for working pressures up to 15k psi. Our positive choke features a fixed orifice size featuring a bean configuration and has replaceable beans with a fixed orifice diameter at 1/64” increments starting from 8/64” to 2”. 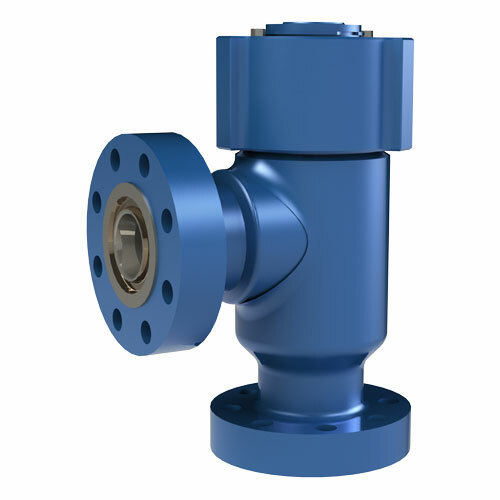 Available in all standard API sizes from 1-13/16”- 7-1/16,” PSL 1 – 3, and connections as requested by the customer, this choke is built to handle service and temperatures up to 250, but can be supplied to elevated temperatures and special trims.